I had a bit of an eerie experience when viewing a picture by a fellow camera club member (the photographer now known as Bari) and realising that I had an almost identical one. That wouldn’t be anything to write home about but we were down at the Dusi Canoe Marathon recently, shooting canoeists coming through a set of rapids. Getting out to take pictures beats sitting at home in front of television or the computer. 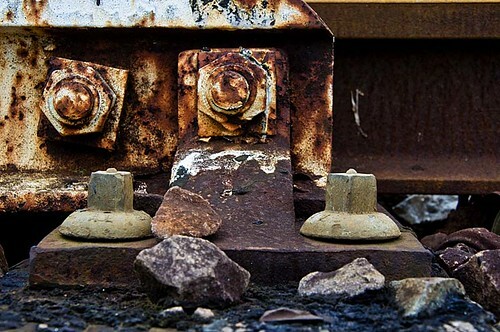 This one was the product of a recent trip to our local [mostly disused] railway station and I love the colours and textures in it.